Description: This painting depicts the migration of one being from living to otherwise. Imagery also shows the path of the traveler or possibly deportation along with surrounding possibilities. Other desired forms of travel require significant amount of paper. Bio: Ricardo Gonzalez is a Mexican-American artist from Chicagoland area in Illinois. 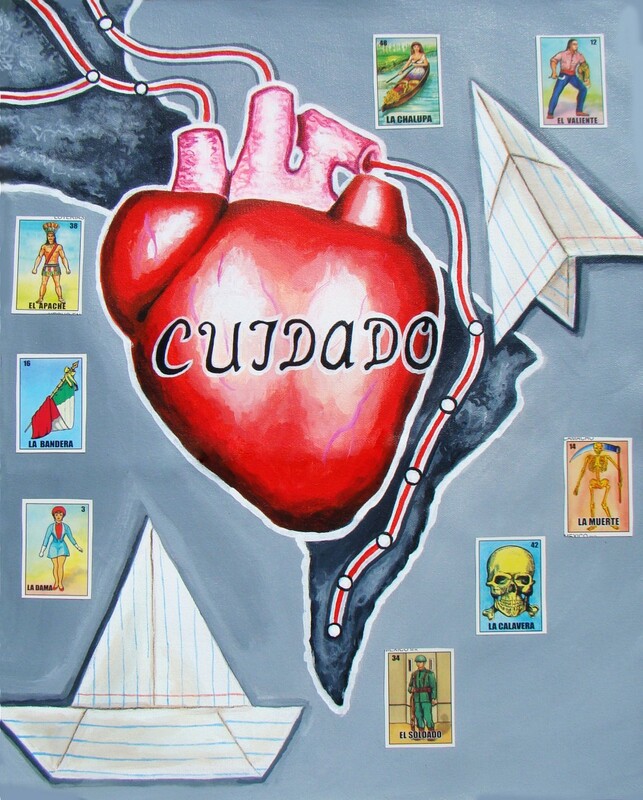 As an artist he tries to create work that is significant to the Latino identity and question surroundings.